It’s trite but true: one of the joys of parenting is rediscovering your own childhood pleasures. 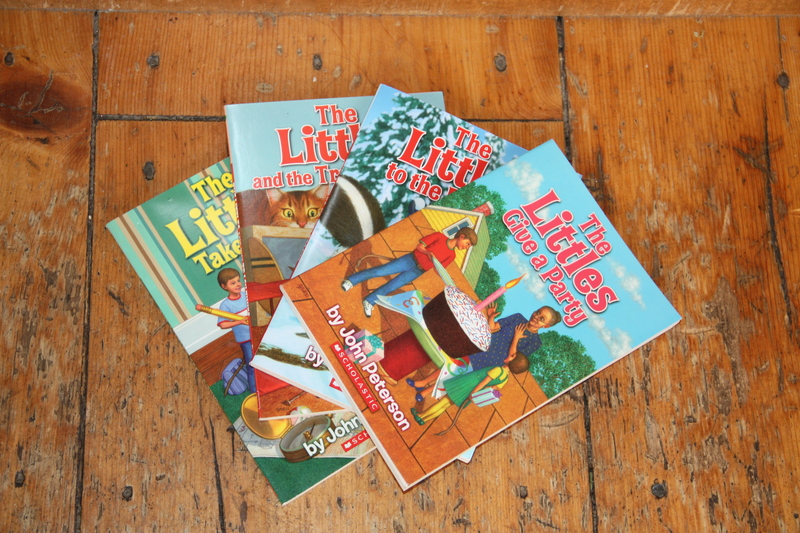 So it was one day when I was perusing a rack of sale books at the library and came across The Littles and the Big Storm by John Peterson. I clutched it to me, and was immediately transported to the wire display racks at my elementary school library where I searched out these books. It even brought to me warm memories of Mr. Sullivan, the librarian. The Littles is a series of chapter books that feature a family of miniature people who live in the walls of The Biggs, who are normal-sized people. The Littles are just like people, except that they sport tails and that their tallest member is just six inches tall. They live in harmony with and often to the benefit of the Biggs, even though the Biggs don’t realize it. With children Tom and Lucy leading the adventures, the Littles use their ingenuity to survive, with regular appearances of contraptions such as a soup can elevator and rafts made from the Lincoln Log toys belonging to the Biggs’ son. I loved these books as a child for some of the same reasons I like them as an adult: they are exciting, it’s interesting to envision life from the miniature perspective, the Littles children are clever and brave, and they’re just plain good fun. I know there are other chapter books that would fit this bill, but I particularly like The Littles at this stage of life because they’re accessible reading for sensitive children. I have a child who has the attention span and imagination that could lead him through the many chapter book plots, but he’s sometimes frightened or upset enough by what he’s hearing that he doesn’t want to continue. The Littles is nice for kids like him because they can experience the trials of the Littles without feeling too vulnerable. They can engage a breathless encounter with the Littles’ mortal enemy, a mouse – complete with toothpick spears and sewing needle swords – without feeling in over their heads since they can always pull back and identify with a Bigg. But I’d love to expand my horizons. If you know of other early chapter books that are friendly to the sensitive reader, or just have favourites that I can bookmark for later, I’d be grateful to know of them. Have you tried Mary Norton’s The Borrowers? Little people living in the walls of a house. The Secret Garden is also a delightful read about the redeeming value of investing time and energy into making things grow. A robin shows the kids the way into the secret garden, and I keep thinking it’s a great read for spring as the robins are reappearing. The dialect of the gardener can be a bit of an obstacle (he has a broad Yorkshire vocabulary). Maybe skip the first chapter of The Secret Garden, though, depending on your kids? My 5-year-old was so freaked out by the description of the cholera outbreak that she hasn’t let me crack it open again… We recently read Pierre Berton’s Secret World of Og, which I enjoyed as a child, and it was her favourite book yet. Charlie and the Chocolate Factory and Pippi Longstocking are two others that are in the re-reading rotation. The Paddington Bear and Winnie the Pooh books were big hits, and I think my favourite so far has been The Wind in the Willows. Right. Excellent point, Kelly. Orphanhood is not just a given in The Secret Garden; the author does describe how it happens. Heartily second Paddington Bear and Winnie the Pooh and Wind in the Willows. Charlie and the Chocolate Factory always makes me a little uneasy. The four grandparents in a bed, the extreme poverty. Somehow, Dahl hits the wrong notes with the deserving poor theme with me. Kelly, thanks for the heads-up – I will definitely skip the first chapter – that would have my son running for the fields. I have made a note of your other suggestions, although Winnie the Pooh doesn’t seem to engage my kids (or me? )… too meandering or something, which I’m sure is the point, but doesn’t hook us. Oh, and Nathalie, I tried to take my son to my niece’s performance (she was Charlie) in Charlie and the Chocolate Factory, and my son burst into tears when Charlie walks dejectedly, due to poverty, across the stage. He was on my lap throughout, eventually at the back of the theatre, where I could only convince him to stay – just – and he hid in my shoulder even there. I would have left entirely for him, except that I desperately wanted to watch my niece. I have been meaning to comment on this for a while. I too enjoyed the Littles, and shortly after reading your post, happened upon one of the books at a used book stand. My six-year-old LOVED it! She wonders if there could be little people living in the walls of our house – great to captivate the imagination! We looked at our local library for more, but they only have a more recent series based on the books of John Peterson, which are not chapter books and not nearly as good. My daughter has managed to find some at her school library, so those should keep us going for now. Incidentally, she also really enjoyed reading Stuart Little, another book in a similar vein. Nancy, I’m so glad to hear about your daughter’s pleasure at discovering the Littles! I do think they’re wonderful. I had the same trouble as you with finding them at the local library. They are available through Amazon.ca for $4.99 per paperback, which I thought was reasonable, so I went for those, keeping in mind I hope to have two other future Littles readers as well. 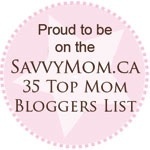 Thanks for the Stuart Little note – it’s on my list! Thanks for the tip, Carol! We’ll see what she manages to find at the school library and then try to fill in perhaps for Christmas!